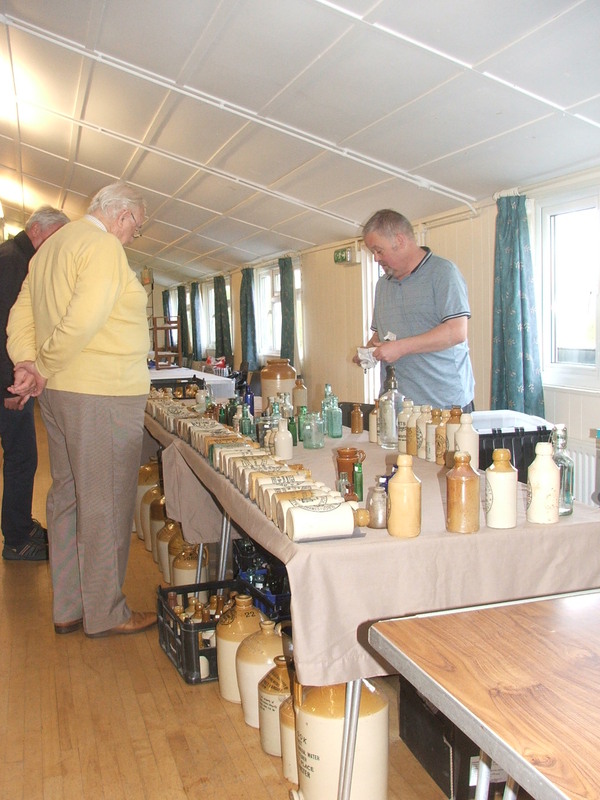 Minstead Show report May 8th 2016. After an early shower of rain the sun shone down on us and we were graced with good weather. 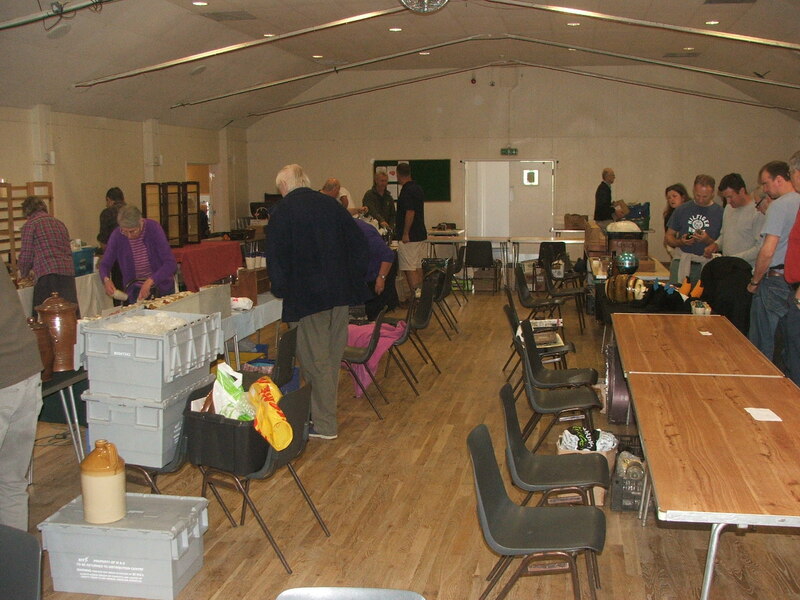 People unloaded from the cars in preparation for set up in the main hall. 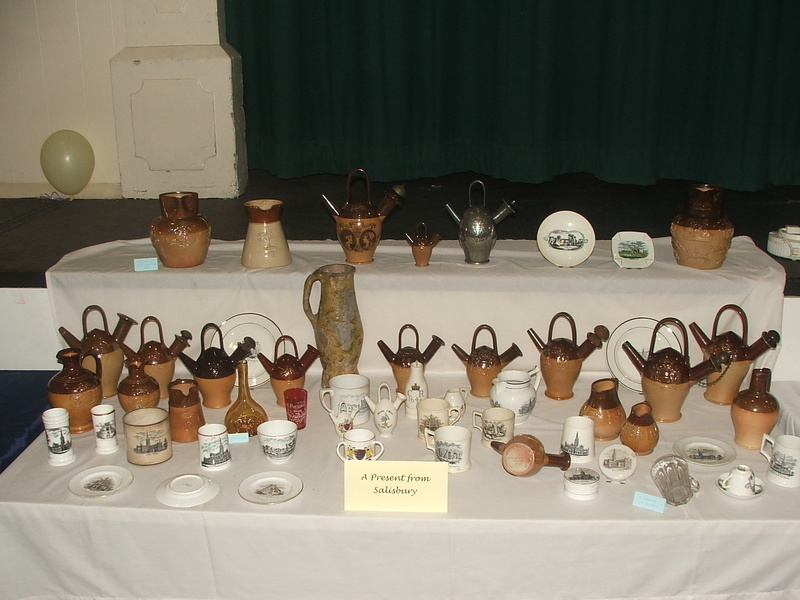 As the Stall holders and early entry were waiting out side Dorset club members made ready the hall and set up the displays. Allowing people to the kitchen for the famous Dorset show bacon bap. 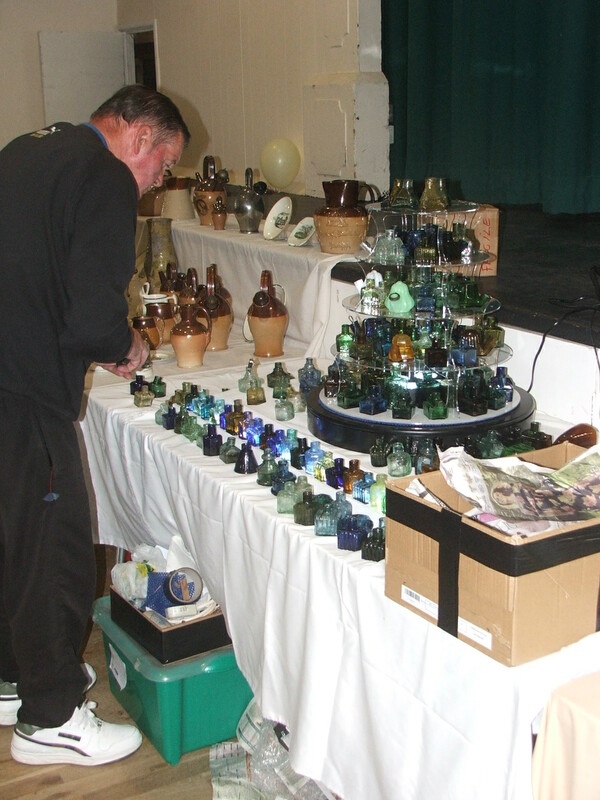 We were certainly on Dorset time and allowed stallholders entry at 8.45 to unpack closely followed by the early entry. During this time there were certainly some bargains had. 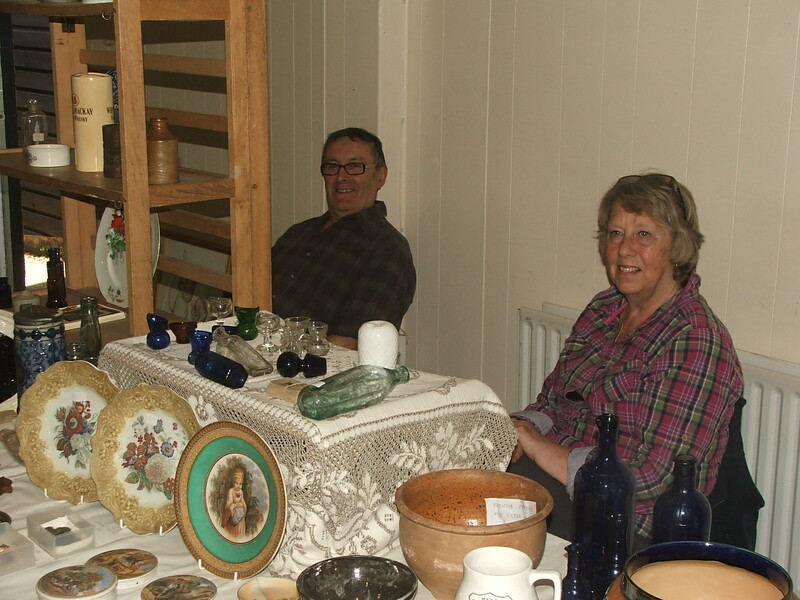 Some stallholders just come to our show. 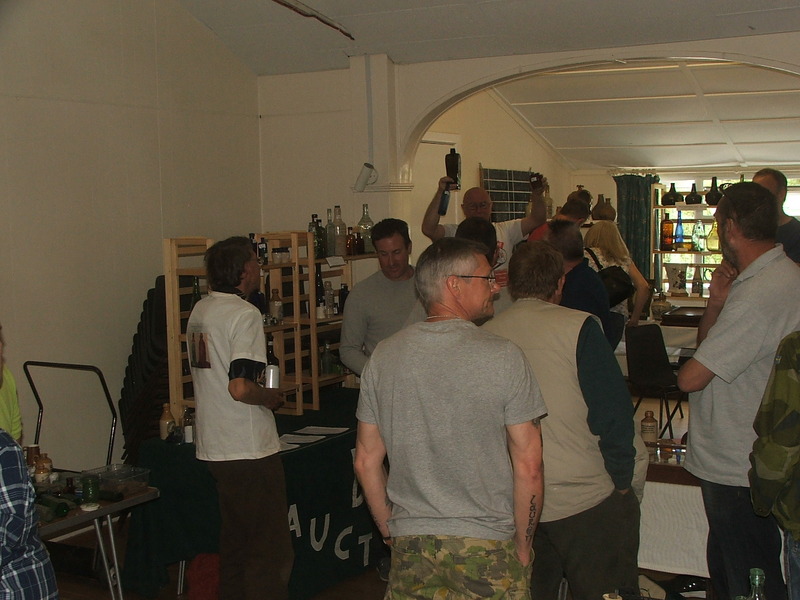 As the unwrapping commenced further the show gathered pace then settled down. Attendees then had time to chat, socialize. 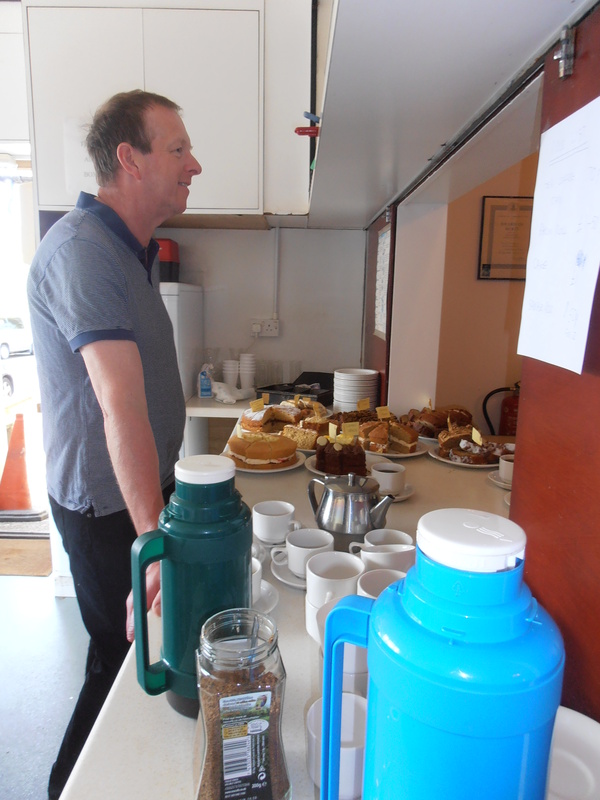 The caterers were kept busy all day with baps tea and home made cakes. 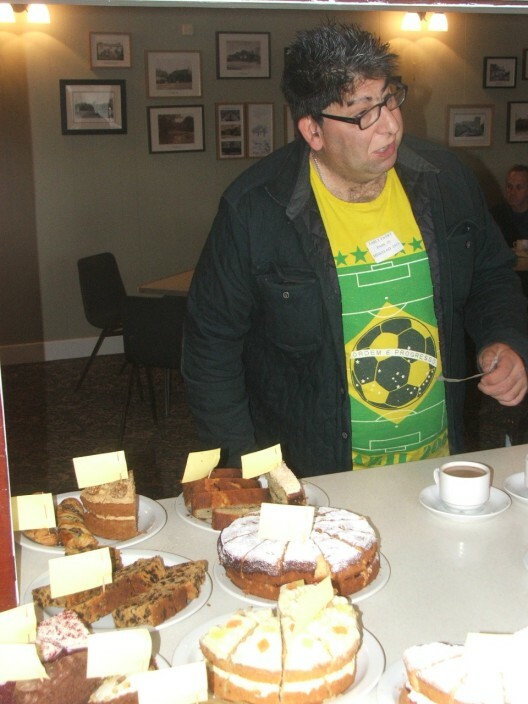 The Club is well known as one of the best for it’s food throughout the show circuit, and at reasonable prices as well. 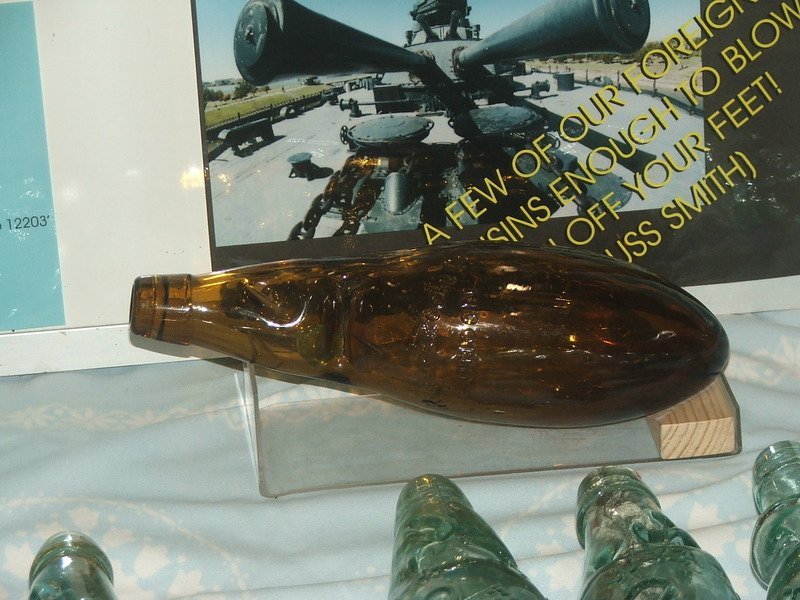 The displays were a talking point as well and thanks must go to Mike Squires, Shaun Baker, Micky Winwood Russ Smith and myself for showing off some top shelf items. 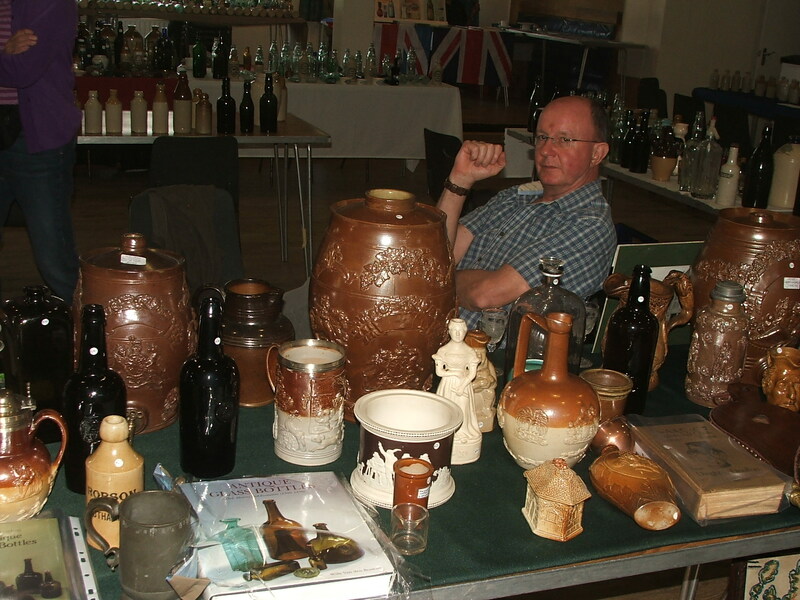 Mike a keen interest in impressed stoneware and pottery makers and his display of impressed early Brighton Ginger Beers were excellent. 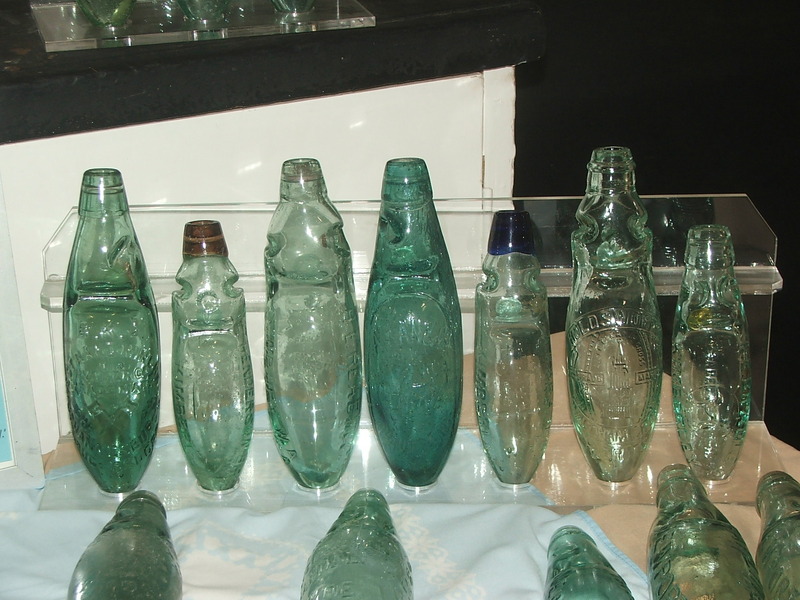 Some were the actual ones featured in Steve Homewoods ‘Brighton bottles’ book. One person from the area wondered how they had escaped from the region. 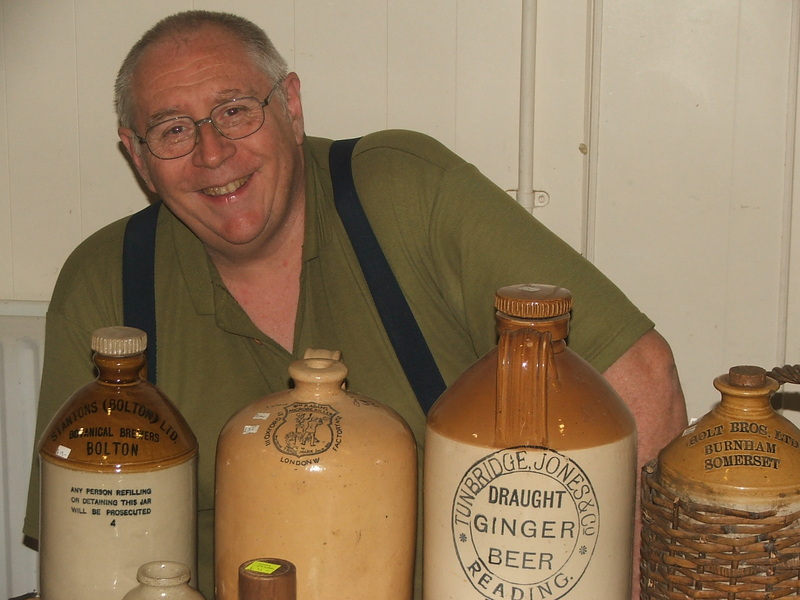 Shaun is ‘Mr Salisbury’ a life long collector showed of present/ trinket ware and a vast array of Sarum Kettles a unique design to the region. 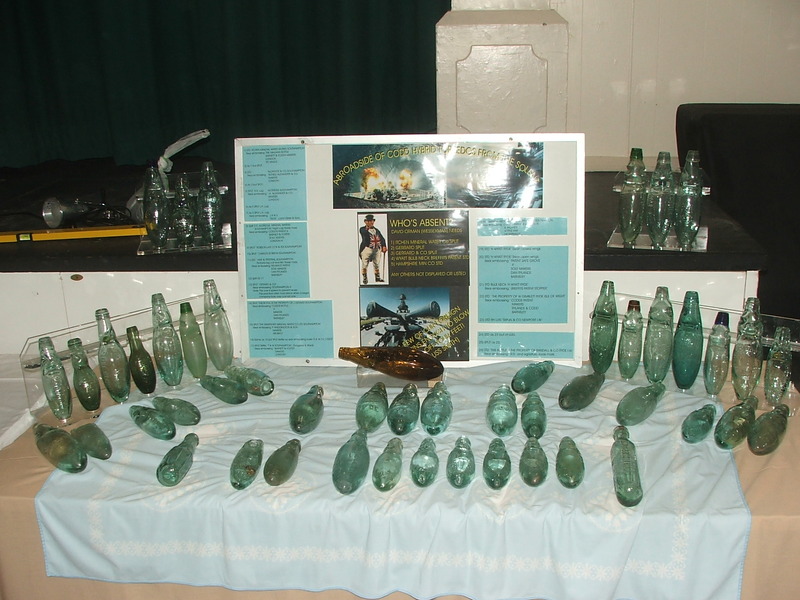 I was struck that some of the wares showed the famous Stonehenge. Micky up until a few years ago had no inks his was a World Class grouping showing rare subtle color variations helped by purchasing a significant group which had taken thirty years plus to gather. 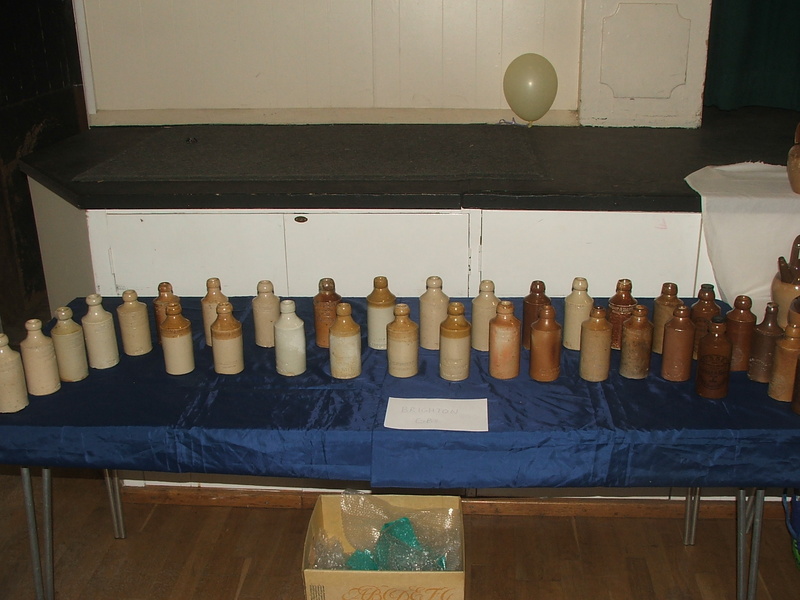 Lastly was a truly magnificent grouping of round ender Codd Hybrids by myself and Russ (outgoing ed of ABC mag). 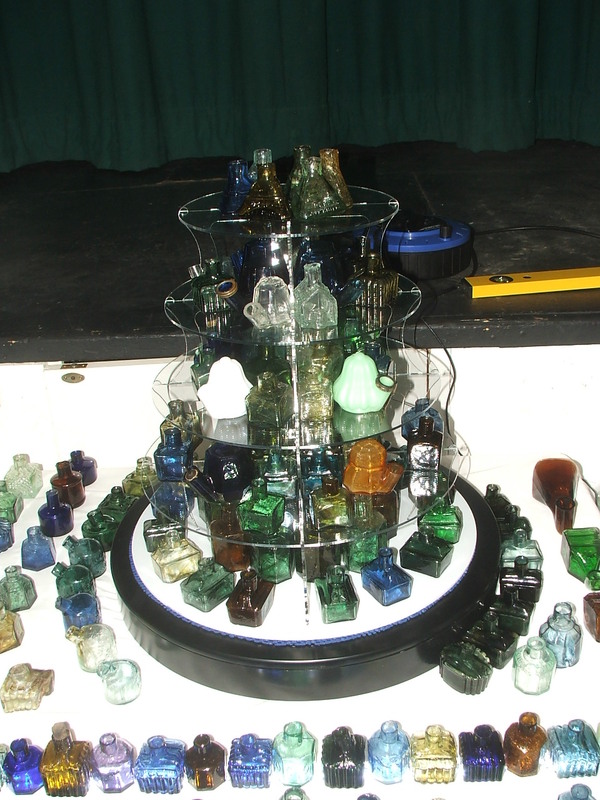 I showed off my Solent grouping of twenty six hybrids and Russ truly blew us all away with an international grouping of patent’s, colored lips & marbles and that amber. It was well worth attending just to see the displays in the flesh! 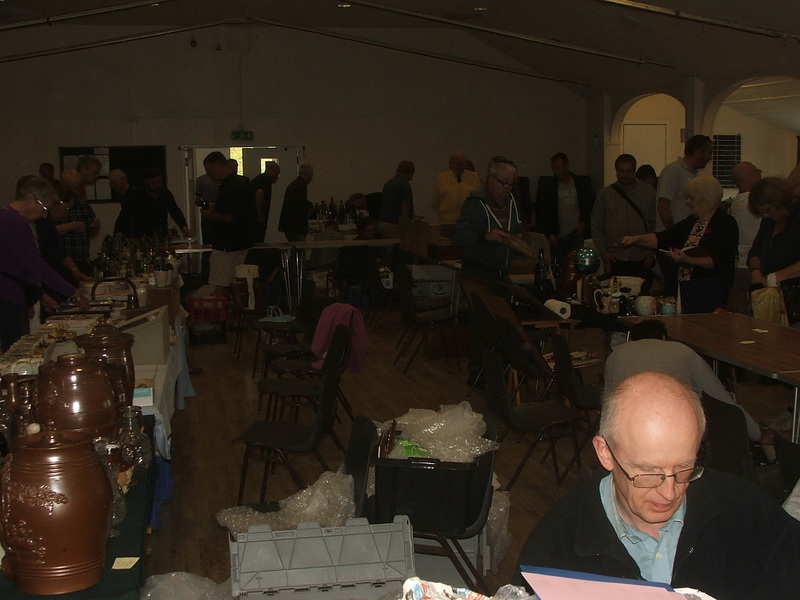 BBR’s Alan Blakeman held a quick on the road auction at midday there was some good prices and veritable bargains. 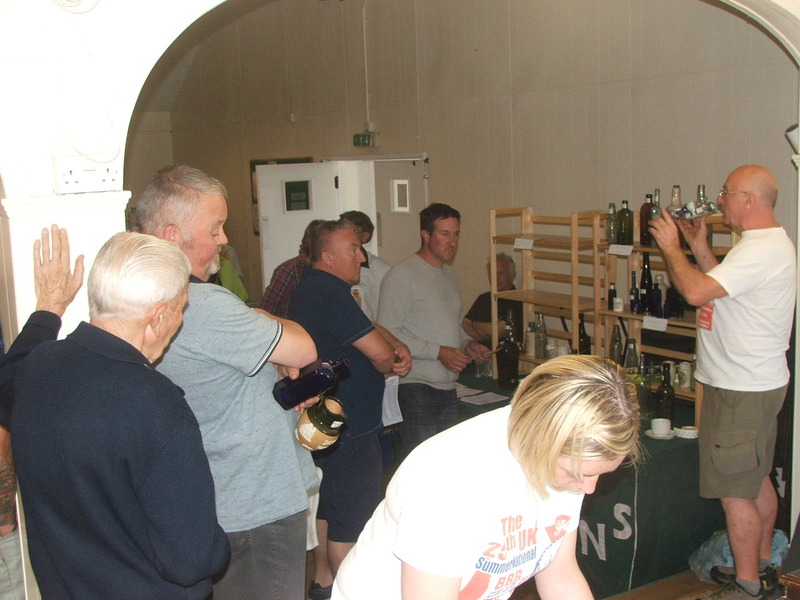 The show ended a bit early 1pm when people packed up and some took lunch and a few beers in the village pub. All in all a good time was generally had by all and I think everyone went away happy. Can’t wait to next years bash. Thanks to one and all who helped participated and attended. 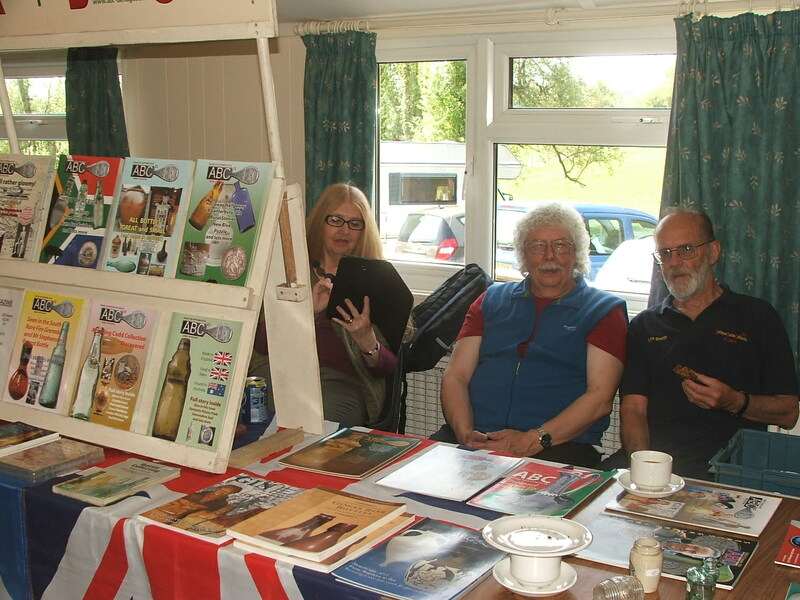 PS news has filtered out on the various bottle forums and thanks go to Colin Savage for putting together a U-tube vid of his Minstead Show day. I think it captures the event. 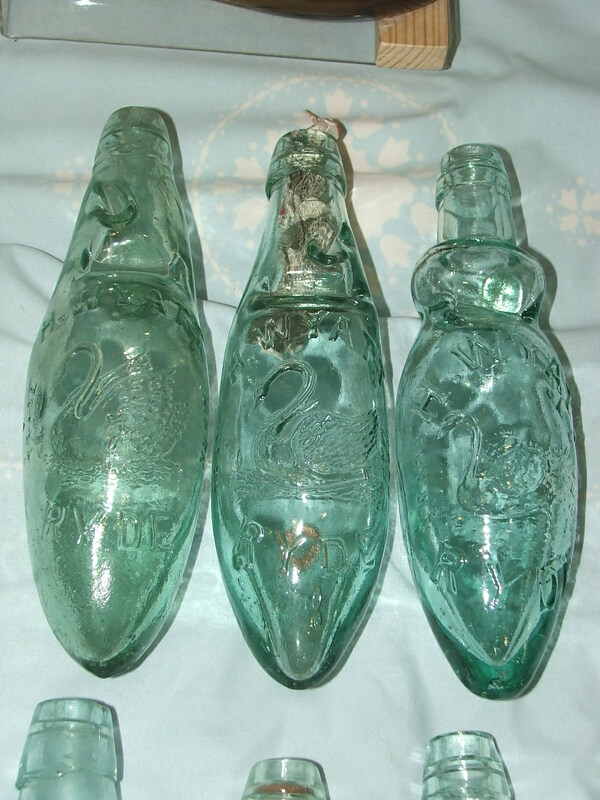 This entry was posted in bottle & advertising auction, bottle Clubs, Bottle show, Uncategorized and tagged antique bottle auction, antique bottle show, bottle club, Dorset Antique Bottle Club. Bookmark the permalink.